In order to Customize Facebook with Ad Block Plus first you need Adblock Plus installed. Once you’ve got that then you need to head to this page and pick the options you want. Oddly, there doesn’t seem to be a way to activtate this from within Adblock Plus itself. 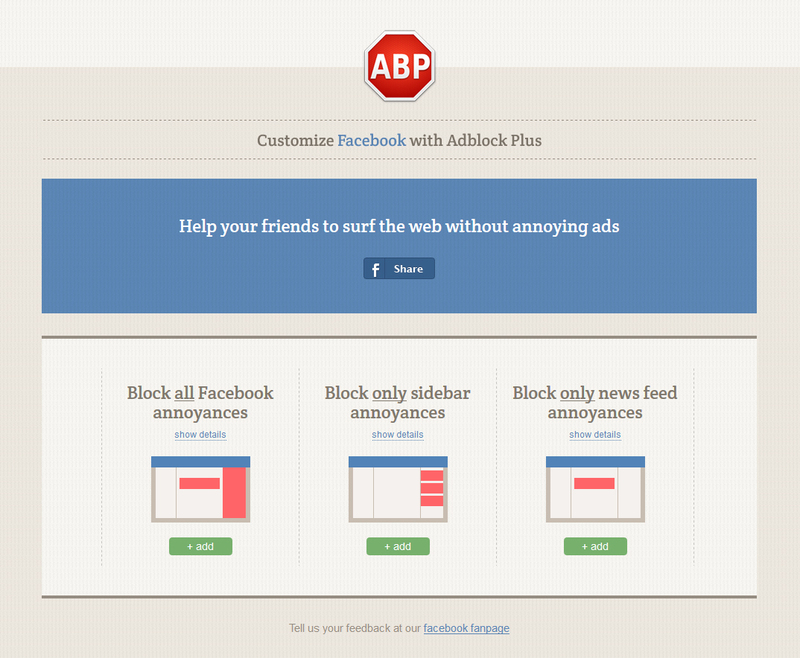 You have to visit http://facebook.adblockplus.me to get it to work.